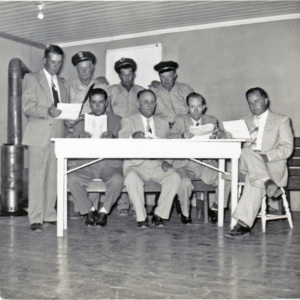 Standing L to R: Eugene Newell, Police Chief Lurie Poston, unknown, and Alfred "Bubba" Haselden. 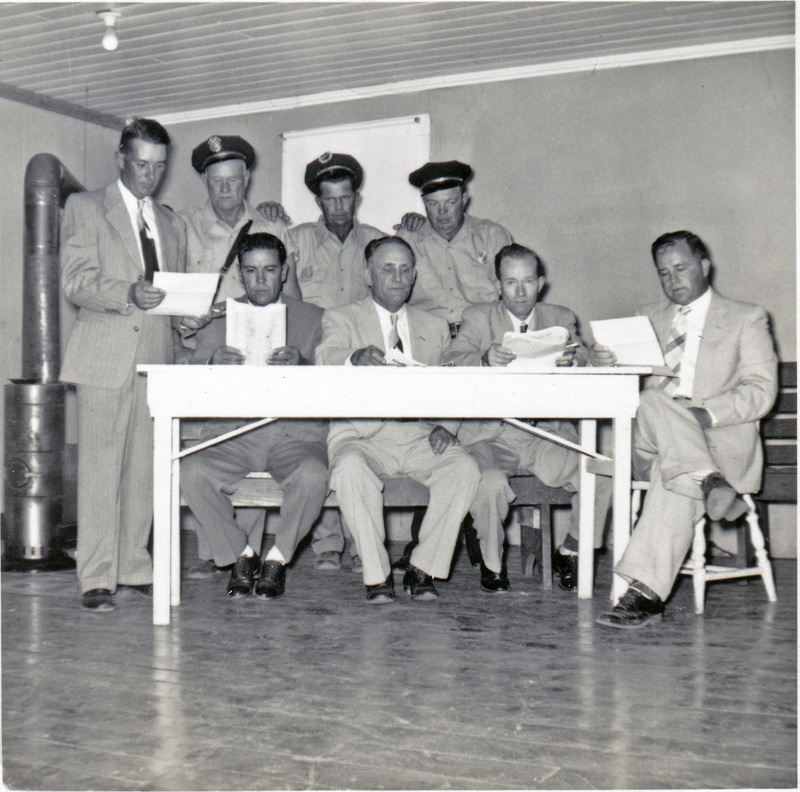 Sitting L to R: H.M. Feagin, David Marsh Sr., Andrew James Cox, Mayor Odell Venters. 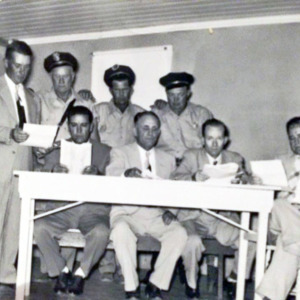 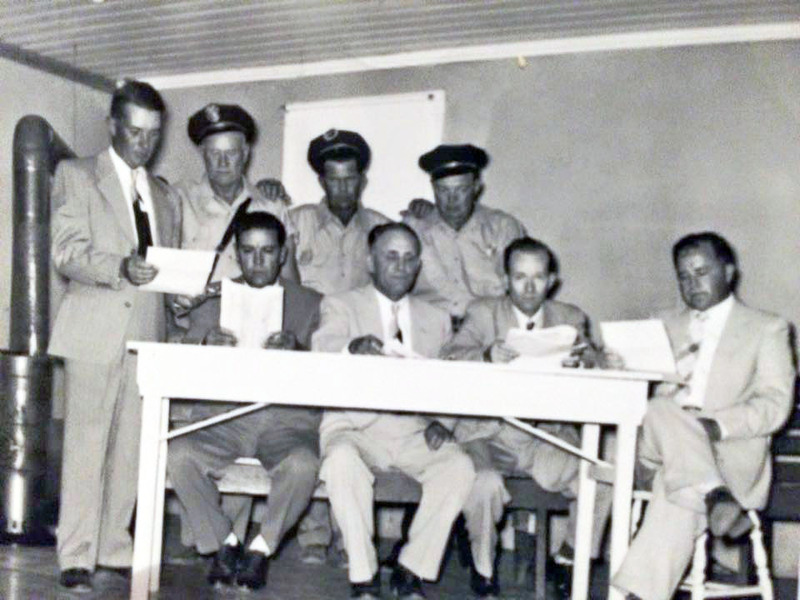 “Johnsonville City Officials, 1950s,” Johnsonville SC History, accessed April 19, 2019, https://www.johnsonvilleschistory.org/items/show/72.